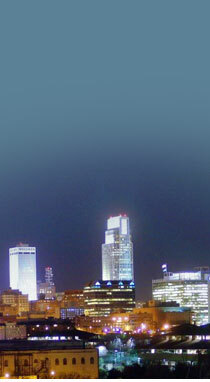 The Omaha Executives Association, formed in 1924 is a prestigious network of the area’s top business leaders. The beginnings of the Executives Association date back to 1916 when the first Association was formed in San Francisco, California. Member firms represent an exclusive classification based on their main products or services, with which no other member can compete. Its owner, CEO, key manager, or top decision- maker represents each member's firm. Membership classifications are defined and maintained. Every effort is made to provide each business with an exclusive classification. Only one business per classification is permitted to join. Each member must be dependable and willing to provide high quality goods and services. The Omaha Executives Association is an organization of business owners and executives whose sole interest is to increase the sales of goods and services of its members through the exchange of business information, networking and leads. The main purpose of the association is to exchange business leads. The members share a common objective of improving sales, enhancing quality of service, and maintaining a market presence in the community. The members practicing high business standards and ethics accomplish this. 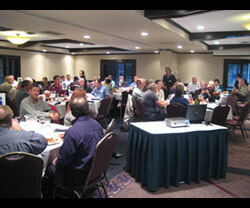 Members meet weekly for a luncheon on Thursdays at Field Club of Omaha. During this meeting, members have the opportunity to share leads regarding business opportunities that may be of interest to another member. In addition, each member is provided a listing of leads that have been submitted to the Omaha Executives Association (OEA) office each week. A member is scheduled to give a craft talk each week. Usually the speaker is an OEA member. The opportunity to give a craft talk during the luncheon allows a member to present and to promote his or her business to the membership. 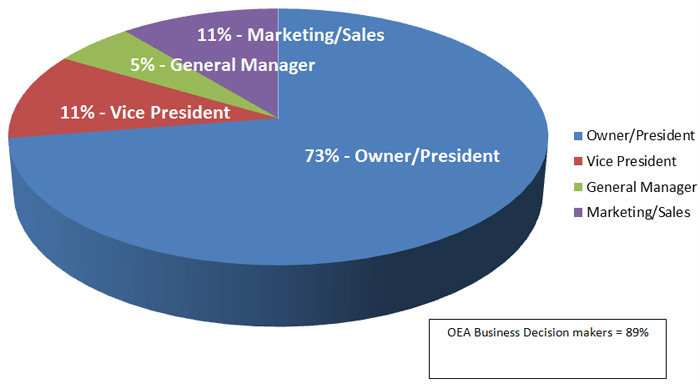 The Omaha Executives Association is made up of primarily business owners, CEO's and top decision makers. Please see below for a graph of our membership.